Submissions to this contest have been closed. Click here to view the Winners. As Pocket Legends continues to grow and expand, the Spacetime Studios Team also looks to keep the game’s content fresh and compelling. To that end, we will be revamping the level 1 to 10 Forest Haven campaign in the near future and we are giving you the chance to get involved! 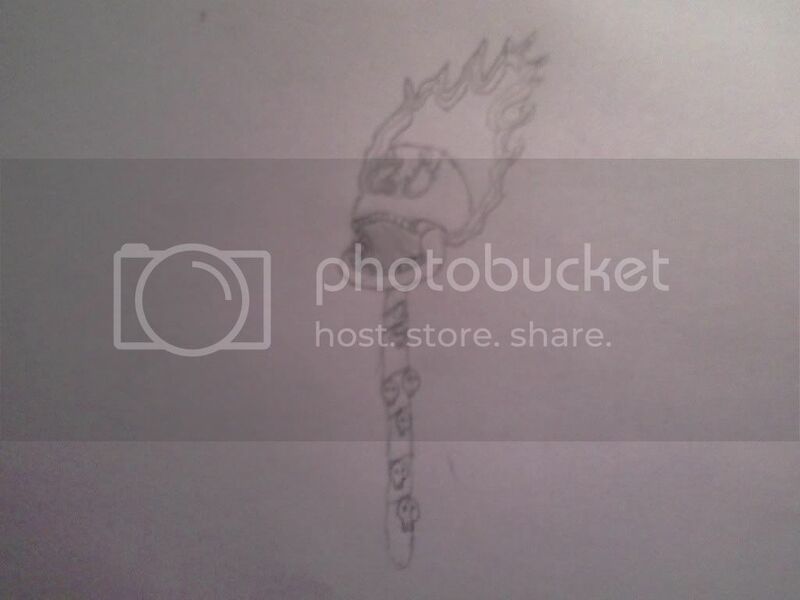 Pocket Legends Design Contest - Create Fiery Weapons of DOOM! The evil witch Silknight has captured Forest Haven’s sacred Orbs of Nature and corrupted them with her magic. She has bent the Orb’s energies to her will, channeling the essence of fire to create Legendary Fiery Weapons. Silknight and her minions brandish these weapons as they seek to enslave Alterra under their sway. Slide into Witch Silknight’s slippers and create designs for up to three different Legendary Fiery Weapons that will strike fear into the hearts of any who would oppose Silknight or her followers. The winners of this contest will have their weapon design(s) turned into in-game items that are branded with their character names! Dexterity: bows, crossbows, spikes, etc. Design One, Two or All Three! Create an original design for any of the above categories. A good submission will probably include both images and a written description. A submission should be appropriate for the category it is in – for example, please do not submit a design for a crossbow to the STR or INT categories. A crossbow would be a DEX weapon. To enter, please post your design to the appropriate forum thread, between now and Wednesday, May 18th at 11:59 PM Central Time. Category: Which category is the weapon submission for? Str, Dex or Int? Please post to the correct thread. Images of your design. What does the weapon look like? Written description of the weapon. Tell us about it. Why does the evil witch Silknight and her henchmen value it above other weapons to do battle with their foes. It is possible that one person could win all three grand prizes, since any one person can submit an entry for each category (Int weapon, Dex weapon and Str weapon). The name of the character must comply with the Terms of Service. 50 Platinum to the best 6 runner’s up from any of the categories. The cut off time will be taken from the timestamp of the forum post of your entry. Only one entry per person per category. If you want to change your submission you can go to your earlier submission and edit the post to change to your new submission. Entries will be judged by the Spacetime Studios Development Team. Equal weight will be applied to judging your visual design and your written descriptive component, so please spend time on both. You can include details about possible weapon procs or effects in your description. We’ll do our best to recreate those effects in game should you win. Remember – all designs and art MUST be your own – created and submitted by you! Last edited by Samhayne; 05-23-2011 at 01:12 PM. Me: Is it a virtual design or a drawing in real life? Wait, do you want drawings or an actual model? Edit: Sorry, didn't read previous posts. Last edited by dballah; 05-12-2011 at 02:03 PM. about time we had another contest, eh guys? I'm guessing you have to have an account to participate? >_> And I have a great idea, too. Does the first have to be red/orange/yellow-y? Last edited by Otukura; 05-12-2011 at 03:48 PM. I disagree, to some extent. This guy freely admits that he based his weapon designs off standard weapons in an entirely different game and has had these for over a year, and is submitting them here. They are EPIC, don't get me wrong, and very kick***, but they are not PL weapons, not from PL, and for some reason I logically can't put my finger on this totally rubs me the wrong way. It would be like one of us designing a weapon years ago for World of Warcraft, having ages to work on it, and submitting it in PL years later...where the rest of us have a week to work on something. Nothing technically wrong with it, or illegal, but man it just seems like it puts people here at a disadvantage and is kind of lame in spirit. Apologize for being blunt, but I bet this isn't what STS/Samhayne envisioned when they came up with this very cool contest, in my opinion (for whatever that is worth). The next thing you know, word will get out to internetz ppl/graphic designers for other games or players of other games and we'll get more submissions like this. Again...they are awesome and I wish I had that skill...but even if I did, and I had done these a long time ago, i wouldn't submit 'em...but thats just me. Last edited by Moogerfooger; 05-12-2011 at 04:20 PM. hehe i doubt it. im hoping to win in at least one of the three categories, which im entering in all. my submission wont be till close to the deadline.